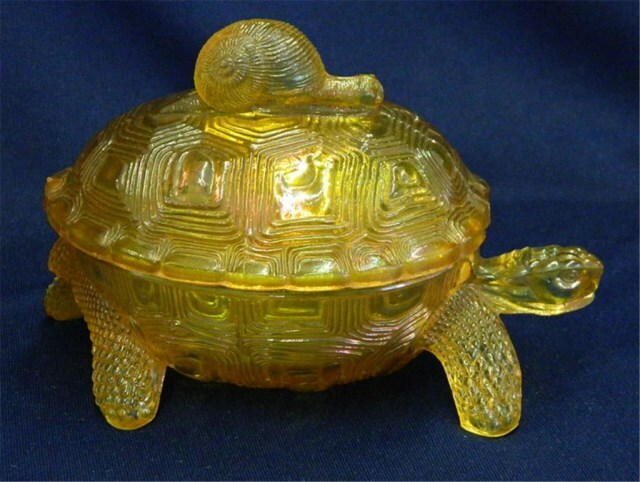 Wish more could be said about this interesting turtle covered dish with the whimsical snail as a handle, but the 2014 auction where it sold had little information. It is 8 inches long and 4 1/2 inches wide. 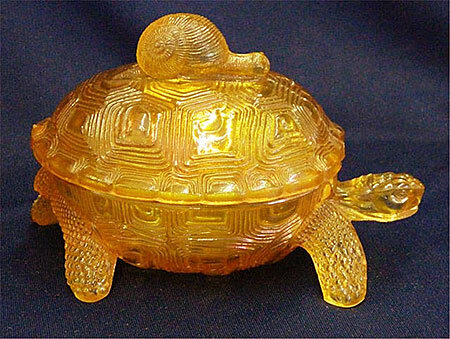 In marigold, it sold for $2,000. Never seen nor heard of another. At one point it was in the collection of Bob and Geneva Leonard.